US Army Private First Class Albert Donaldson Deets. Albert “Ab” Donaldson Deets was born September 22, 1919, in Dodd City, Fannin County, Texas. He was the last of eleven children born to John and Mary Deets who farmed in the area. He was delivered by Doctor J. M. Donaldson, and Ab received his middle name from the physician. Ab graduated from Ector (Texas) High School. He was tall for his day at 6 feet 4 inches. On December 2, 1939, he enlisted in the United States (US) Army. He already had two brothers in the US military. Photograph given by US Army Sergeant John Deets (L) and US Navy Petty Officer Clifford Deets to their mother for her birthday. 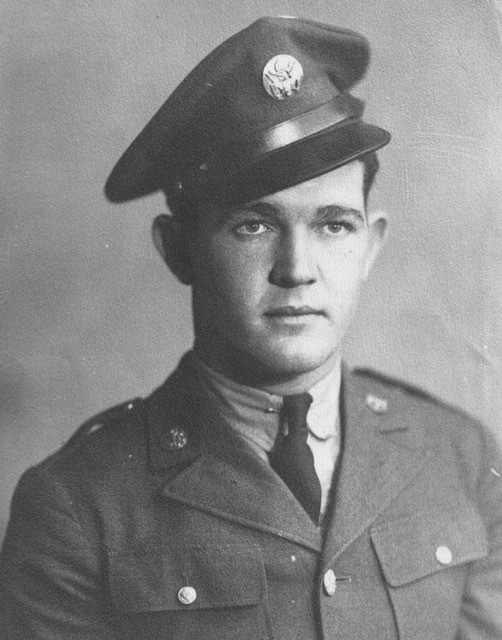 Ab’s brother John Deets enlisted in the US Army in 1935. His skill in baseball was noticed by a baseball scout, and the Cincinnati Reds bought out John’s US Army contract in 1937. “Tex Deets” would spend the next three years pitching with several Cincinnati minor league teams including the Durham Bulls. On September 27, 1940, he reenlisted in the US Army. After the US entered WWII John transferred to the US Army Air Force and became a gunner on a B-17 Flying Fortress. He flew with the 8th Air Force, 306th Bombardment Group (BG), 369th Bombardment Squadron (BS) based at Thurleigh, Bedfordshire, England. He completed the required 25 missions over Europe and was sent back to the US in December 1943. In November 1944 John volunteered to fly again with a combat crew and was assigned to the 15th Air Force, 2nd BG, 429th BS, and flew 31 combat missions from Amendola Airbase near Foggia, Italy. 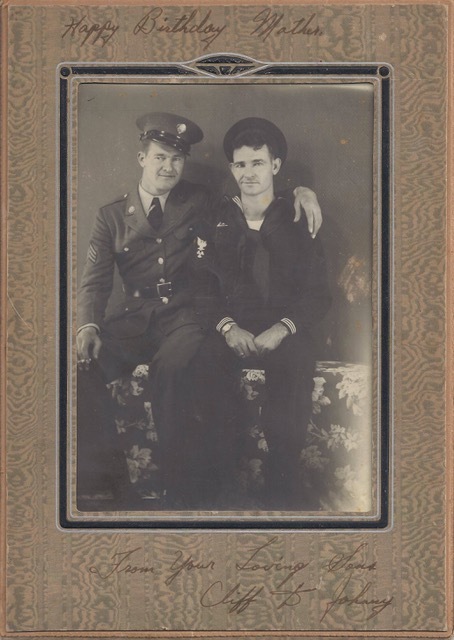 Clifford Deets, another of Ab’s brothers, enlisted in the US Navy on September 8, 1935. He served on a number of ships and was temporarily attached to the United States Ship (USS) Drayton in July 1937 to search for Amelia Earhart after her plane disappeared on a flight over the Pacific Ocean. During the Battle of Okinawa (April 1 – June 22, 1945) Clifford was assigned to the USS Neshoba that landed the US Army 96th Infantry Division in the first wave of beach landings on the island. By the end of WWII he had attained the US Navy rank of Lieutenant. In WWII many families had more than one child in the conflict. John and Clifford Deets returned home after the war. Ab did not come home. His grave site is officially recorded as latitude 20 degrees and 41 minutes north and longitude 118 degrees 27 minutes east in the Bashi Straits of the South China Sea. After Ab trained at Fort D. A. Russell located in Marfa, Texas, he was sent to Fort Mills a US Army post located on the island of Corregidor in the Philippine Islands. Private First Class (PFC) Albert Deets was assigned to the US Army 60th Coast Artillery Regiment, Battery K.
[The Philippines were part of the Spanish Colonial Empire for over 300 years until Spain’s defeat in the 1898 Spanish – American War. After the war the Philippines became a territory of the US. The Japanese attacked the Philippines nine hours after the December 7, 1941, surprise attack at Pearl Harbor on the Hawaiian island of Oahu. As the Japanese advanced through the Philippines General Douglas A. MacArthur, Commander of the US Army Forces in the Far East, consolidated US and Filipino forces in a defensive position on the Bataan Peninsula. The Battle of Bataan (January 7 – April 9, 1942) ended with the surrender of approximately 75,000 Filipino and American defenders. The prisoners were marched an estimated 65 miles (104 kilometers) in what became known as the Bataan Death March. Estimates of casualties and losses during the march range from 5,650 to 18,000 Filipinos and Americans. PFC Deets was one of the 11,000 who became a Japanese prisoner of war (POW) when Corregidor fell. He was sent to POW Camp Cabanatuan near Cabanatuan City, Nueva Ecija, Philippines. Cabanatuan was the largest Japanese POW camp in the Far East. At its peak it held 8,000 prisoners. Most prisoners were Americans, but some Allies and civilians were imprisoned there also. On May 26, 1941, the first captured Americans from the Bataan Death March arrived. On May 29, 6,000 POWs captured at Corregidor arrived. More followed. The camp had poor sanitation, limited water and food, and primitive medical care. Dysentery, malaria, and cholera were common. Reports from prisoners noted mistreatment and torture. Ab was a prisoner there for almost 2 1/2 years. In May 1942 the Japanese started transferring POWs by sea to places such as Japan, Manchuria, and other locations to be used as slave labor. 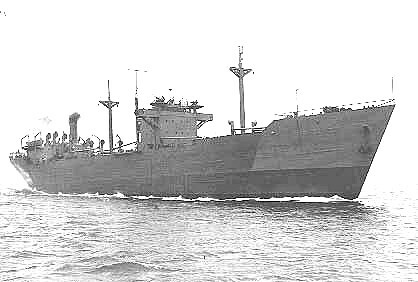 The ships had no markings or flag indicating they were carrying POWs. Many ships were sunk unknowingly by US submarines and military aircraft. It is estimated that over 21,000 Allied POWs died at sea during transport by the Japanese. POW survivors report being shoulder to shoulder in the extremely hot cargo holds of “Hell Ships” without adequate water, food, and ventilation while standing in their excrement. Some men died, and others lost their sanity. In October 1944 1,600 POWs including PFC Albert Deets were taken from Cabanatuan to be transported and then to be used as slave labor in industries needed to meet Imperial Japan’s war demands for things such as coal and zinc. On October 24, 1944, the Japanese freighter Arisan Maru carrying nearly 1,800 POWs was sunk by a US submarine. According to US Navy records, the USS Shark II or the USS Snook may have been responsible for the sinking of the Arisan Maru in the Bashi Straits of the South China Sea. Only nine POWs survived the sinking. 6,886-ton Japanese freighter Arisan Maru. The Arisan Maru was torpedoed at approximately 5 pm and sank about two hours later. Japanese destroyers picked up Japanese survivors, but no attempt was made to rescue the POWs. The official grave site of PFC Albert Deets and the others lost in the sinking became latitude 20 degrees and 41 miles north and 118 degrees and 27 miles east in the South China Sea. Ab was 25 years old. Three months after Ab and the other POWs were taken from Cabanatuan US Army soldiers from the 6th Ranger Battalion and Alamo Scouts with 250 – 280 Filipino guerrillas liberated the remaining prisoners at the POW camp on January 30, 1945. 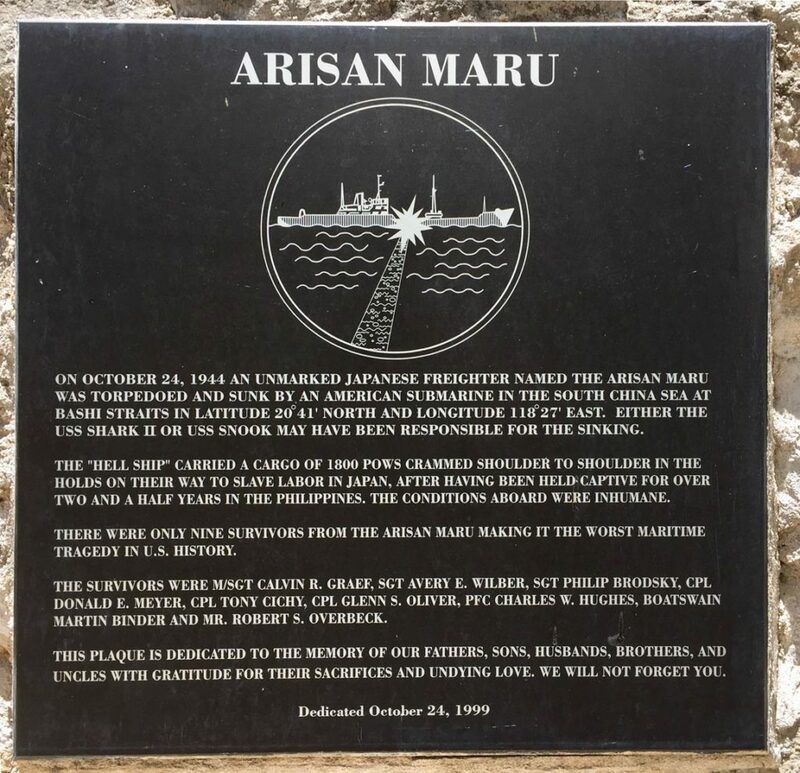 A memorial to those lost in the sinking of the Arisan Maru was dedicated on October, 24, 1999, in the Memorial Courtyard at the National Museum of the Pacific War in Fredericksburg, Texas. The National Museum of the Pacific War in Fredericksburg, Texas, currently has an exhibit “Prisoners Under the Rising Sun.” Link to information on the exhibit which ends September 3, 2018, is http://www.pacificwarmuseum.org/news-events/. Thank you to Clifford Deets, nephew of Albert “Ab” Deets, for sharing the story of his uncles and father. Family photographs are used with his permission. The story of the WWII liberation of Cabanatuan was the plot of a 2005 movie The Great Raid.